Congratulations you are under contract on your house. Whether you are the seller or the buyer, you want to take a moment to celebrate the successful negotiation you’ve just gone through. But don’t get too comfortable just yet. There is still a major hurdle standing between you and closing on your deal; the home inspection. Just how does a home inspection work? What does it cover – and not cover? What are your options if problems are found? If you have questions about what to expect, read on for the answers. Can a Seller Order an Inspection? While some sellers request a home inspection before they even list their homes. In recent years, more realtors are suggesting a pre-listing inspection to clients with older homes. A pre-listing inspection can help a seller identify defects before they can compromise a deal. They can choose to make any necessary repairs before they list the house giving themselves more control over the timing and cost of the repairs. Displaying the inspection report during open houses, with notes on what’s been corrected, is also a good way to reassure potential buyers that yours is a high-quality home. There is one caveat that sellers should be aware of. In most states, they are legally required to disclose any condition of the property that they are aware of. They may not have known there was a roof issue, for example, but once they are made aware of it through an inspectors report, they need to disclose it to all potential buyers. Does a Buyer Have to Have an Inspection? in most cases, it is the buyer who is going to request an inspection. They legally don’t have to have an inspection and some buyers do pass on it when purchasing a condo where all the major systems maintenance issues are governed by an association. However, most of the time a buyer wants to be sure that the home they are buying is structurally sound and safe to live in. They don’t want to be blindsided by expensive repair costs soon after moving in. There is some confusion about the role a home inspection plays in the loan process. The fact is, a bank will never order or insist on a home inspection. Some banks, however, will require an inspection as a requirement for getting a mortgage. What the banks do is conduct their own home appraisal instead. Their appraisal doesn’t concern itself with the physical state of the property so much as the financial valuation of the property. When Is a Home Inspection Done? The timeframe to conduct a home inspection is usually pretty tight. Typically a sales contract will specify that the offer is subject to acceptance of a home inspection to be carried out within XYZ days. Why such a tight timeline? As a buyer, you want to make absolutely sure this is the property for you. As a seller, you want to clear this potential hurdle as quickly as you can. A buyer will usually call around and select a home inspection service immediately after the contracts are signed. As the one ordering and paying for the inspection, he has the right to choose who conducts it. Technically speaking, some states allow anyone to conduct a home inspection, including the buyer himself. However, most states require they be carried out by a licensed inspector. The American Society of Home Inspectors (ASHI) website includes links to check the requirements in each state. 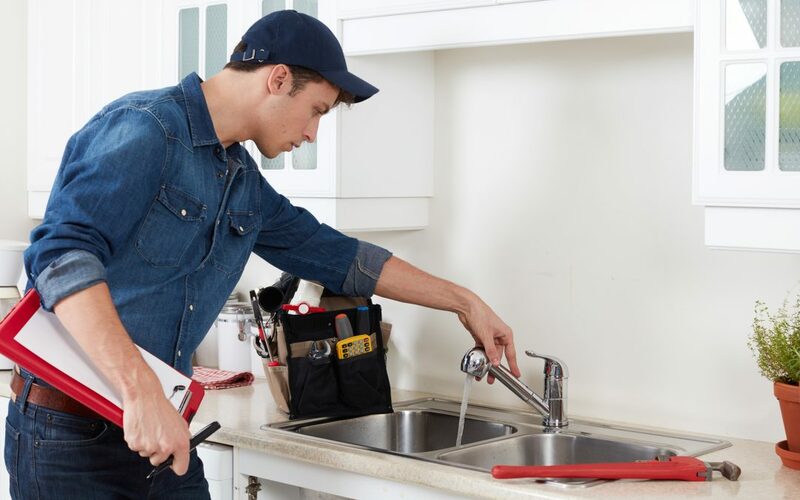 The short answer to who needs to be present during a home inspection is “no one but the inspector.” However, any interested party can attend an inspection. While there are a few things the seller should do to get the house ready for the inspector, like decluttering the attic stairs, there is no reason for them to attend. Sellers will often skip the inspection or may ask that their realtor attends on their behalf. It is recommended that buyers do try to attend the inspection. This is their opportunity to observe the inspector and learn about all the major systems in their new house. They have a chance to get their questions asked and answered on the spot. How Does a Home Inspection Work? The visual part of the typical home inspection takes between three to four hours while the inspector works his way from the attic to the basement and around the outside of your home. He will then take his notes and turn them into a formal report that he will deliver to the buyer only. If a buyer is satisfied with the home inspection and the condition of all the systems, there is nothing further he needs to do besides let the home inspection contingency clause date pass. If there is something the buyer wants to renegotiate, or if he wants to cancel his contract as a result of the home inspection contract, he needs to let the seller know before the contingency expiration date. He never needs to share the inspection report with the seller, but usually, a buyer will share those parts of the report that has to do with a repair he is requesting. When a buyer lets him know he wants to renegotiate to have a repair made or the cost of a repair credited, the seller has options as well. He can either agree to do the repair or credit, renegotiate the costs or refuse. It’s recommended that the seller works with his realtor on this renegotiation. The realtor is apt to have more knowledge on what repairs are usual or customary and their pricing and which items may be safely refused without jeopardizing the deal. So, if you are looking to sell your house, or if you’re a first-time home buyer, you can scratch “how does a home inspection work” off your worry list. Instead, you can concentrate on all the positive things about the house and what makes your sales contract a win-win for both sides. If you live in the northeast Ohio area, you can also contact Class Home Inspection with any additional questions you may have or to schedule your seller’s pre-list or buyer’s home inspection today.